Free 24 hour rush service... order today, ships in 24 hours! 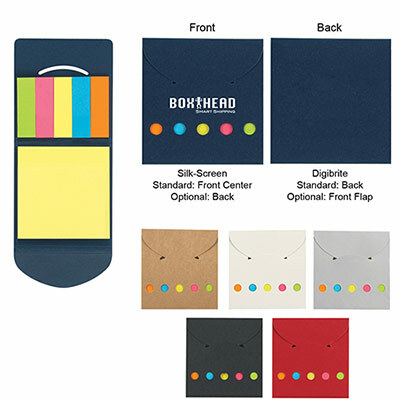 With its classy design and great functionality, this promotional Sticky Notes and Flags in Pocket Case will surely impress potential customers. 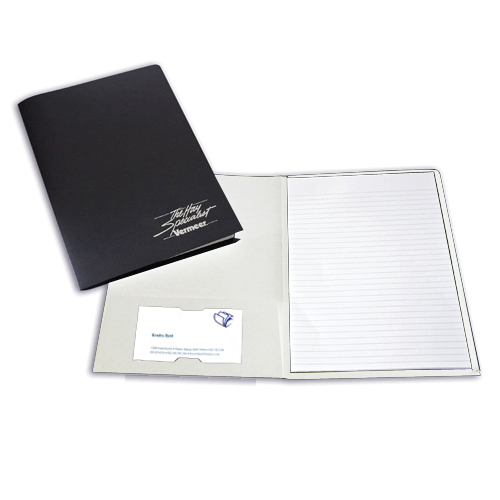 It includes sticky notes and flags for recipients to write down important notes or reminders. Sticky flags are featured in 5 attractive neon colors. 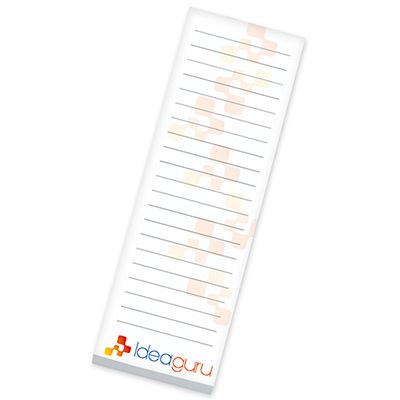 Your logo can be highlighted in two locations for driving maximum attention. Call us and place an order right away! 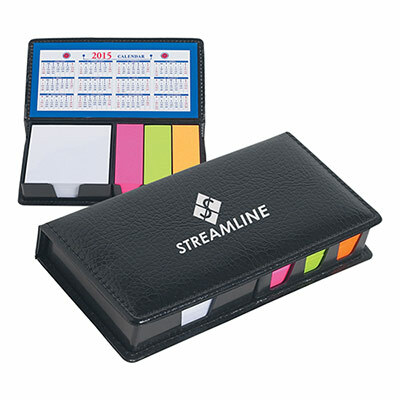 An important addition to your office supplies!